Many of the towns and villages in West Yorkshire are outside the national gas grid due to their rural locations. The best solution for residents and business owners in the area is LPG – providing a clean and efficient fuel source for their heating, hot water and cooking. We are ideally located to supply our customers based in West Yorkshire, its towns Batley, Bradford, Halifax, Huddersfield, Ilkley, Keighley, Leeds, Otley, Wakefield, Wetherby and the countryside in between with tankers supplying the area from either our Preston or Penrith LPG depots. Both LPG depots have great access to West Yorkshire’s network of main roads. 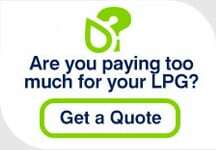 As such you can rely on our efficient LPG delivery service and be assured of our competitive LPG prices. West Yorkshire seems to be a popular place for LPG metered estates with farmhouses and barns being converted to domestic homes. West Yorkshire LPG users can find more general information on the following pages: Domestic LPG transfers, Metered LPG transfers and Commercial LPG transfers.